You must sign a Model Release Form. 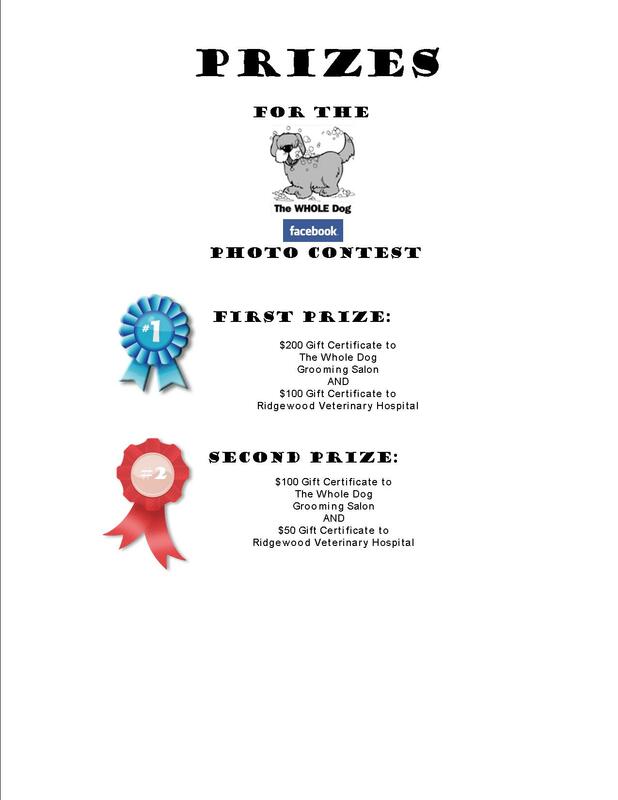 Photos must be posted by Ridgewood Veterinary Hospital. Photos that are posted by a third party will be deleted, therefore subsequently disqualified. By participating in the contest you are allowing us to use and distribute the image of your pet on any of our online sites and related marketing of Ridgewood Veterinary Hospital. Contest ends on March 31, 2011. Winners will be notified by April 15, 2011. Winner will be determined by whichever picture receives the most “likes” on Facebook by March 31, 2011. 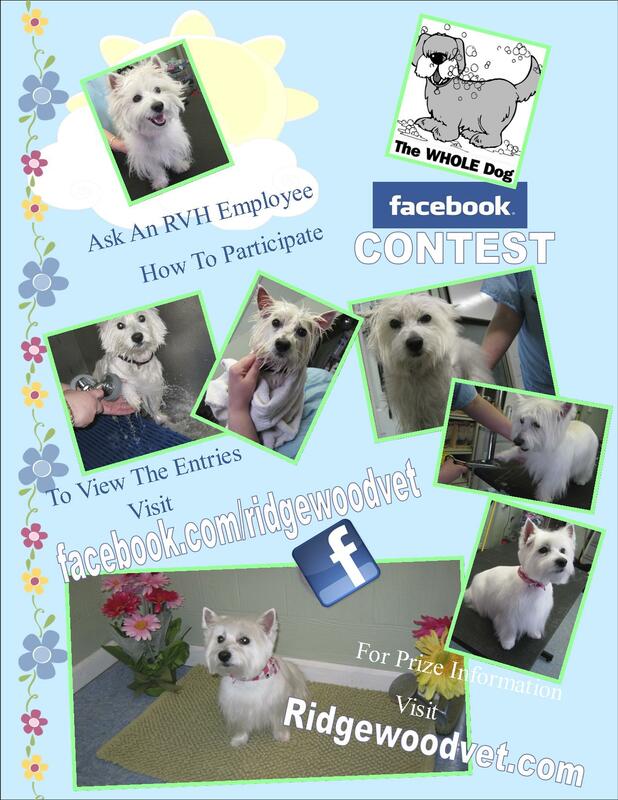 In order to “like” a photo in this contest, you must log into your Facebook account, visit facebook.com/ridgewoodvet, and “Like” the Ridgewoodvet page. Then locate the photo in our Whole Dog Grooming Salon Photo Contest Photo Album. Once you have located the photo, click on it. Once the photo has finished loading, under the caption, next to the date the photo was added will be the words “Like” and “Comment”. Please click on “Like” to like the photo, and consequently, vote for it.